Human trafficking impacts communities throughout the United States. It's a problem that continues to grow in spite of law enforcement's enhanced efforts to halt the transport of people for the purpose of forced labor. Houston is among the top five cities in the U.S. for human trafficking, yet many victims may be under the radar of community members and even police officers. To assist local law enforcement professionals in identifying victims, University of Houston-Downtown (UHD) researcher Dr. Rebecca Pfeffer conducted a study on the indicators of human trafficking. 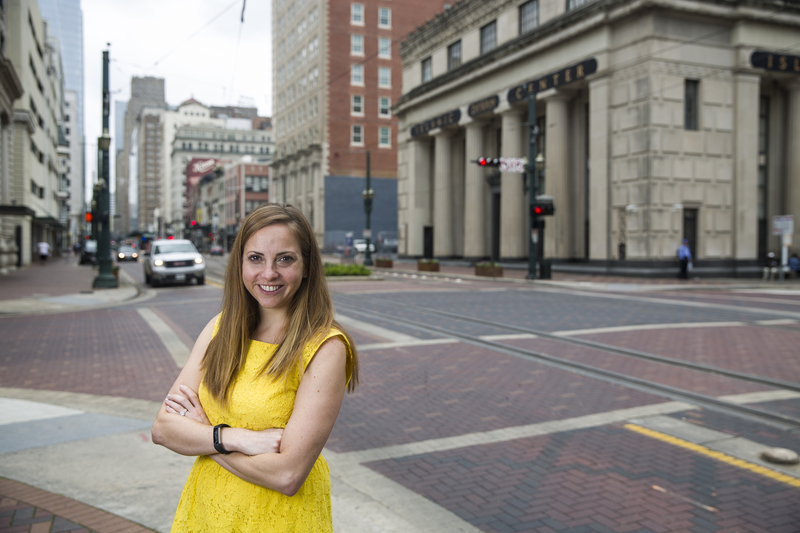 Pfeffer, assistant professor of criminal justice, worked with the Houston Police Department (HPD) on the study "Hidden in Plain Sight: An Evaluation of Indicators of Human Trafficking in HPD's Prostitution Incident Reports." She compiled data from 1,474 HPD prostitution reports involving 1,678 individuals and she screened these cases for indicators of human trafficking. The final study was submitted to HPD and shared with Houston Mayor Sylvester Turner's office and anti-human trafficking organizations. Recognizing these and other indicators may assist officers in effectively identifying victims during prostitution investigations. "If officers are conducting an investigation and recognize the indicators from this study, they might dig further and determine that a prostitution case is actually a human trafficking case," Pfeffer said. Her study also offers recommendations for HPD's Vice Unit, which include alternatives to arresting victims as they are often reluctant to self-identify upon first contact with law enforcement. "If it's a prostitution case, then the suspect should be arrested. If it's a human trafficking case, then the suspect may actually be a victim of a crime," she noted. "He or she would need services or support." Pfeffer's study was funded through an Organized Research and Creative Activities Grant administered through UHD's Office of Research and Sponsored Programs. She soon will begin analyzing data from 2015 incident reports with support from UHD student Gabriel Estrada. "It's important that HPD allowed me to conduct this analysis and offer recommendations," Pfeffer said. "It's a great partnership of law enforcement practitioners and academics that hopefully will help people in our city."